Dealing with healthy picky eaters require a different approach. You aren’t trying to figure out why your leopard gecko won’t eat, but rather you are trying to simply get your gecko to eat more. Here are some tricks we’ve found over the years that should help you deal with picky eaters. Freshly molted superworms are very soft and easy to digest. Leopard geckos seem to really love these treats. 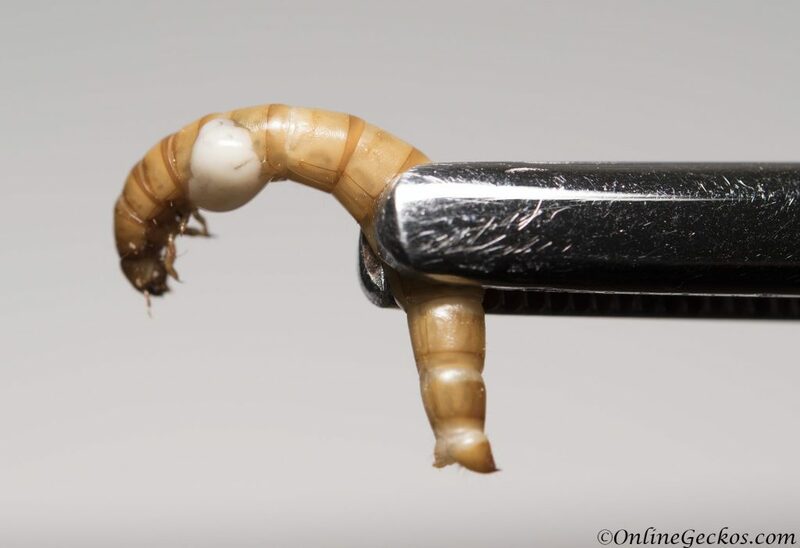 If you have picky eaters that won’t take to superworms, you may want to try picking out some freshly molted ones first. We’ve found that some geckos will immediately take to these molted superworms. They gobble them up like they are waxworms, except they aren’t as fatty as waxworms. So definitely give this a try before you decide to indulge your geckos on waxworms. Note that mealworms also shed their exoskeleton when they molt. If you are feeding mealworms, you can try freshly molted mealworms as well. Although they are smaller so they can be harder to see for larger/adult geckos. Freshly molted mealworms may work better for younger, smaller geckos. Sometimes hatchlings/juveniles can be picky eaters. You want them to eat because some hatchlings will die or develop metabolic bone disease (MBD) if they don’t start feeding early on. We’ve encountered some hatchlings that just won’t eat no matter what feeders we’ve tried. Here’s a method we’ve discovered that really help jump start a hatchling’s feeding instinct. You take a mealworm, and you slice its guts open just enough so a bit of their insides spill out. 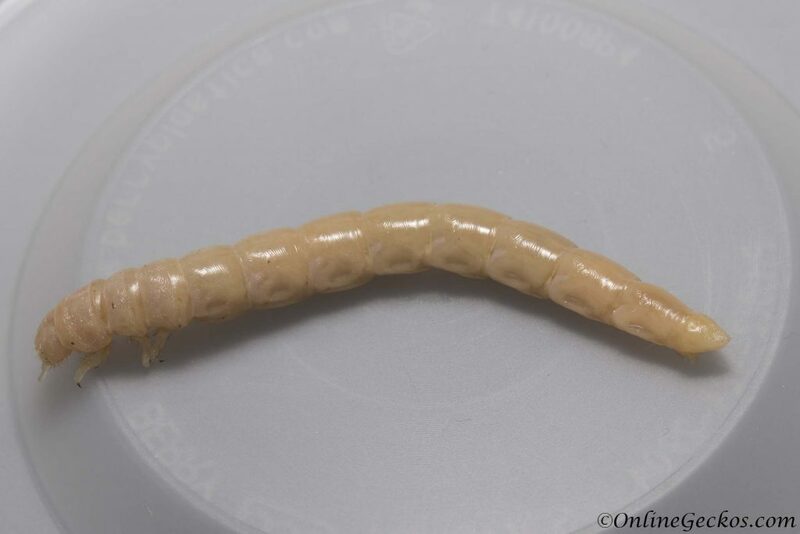 Then you take feeding tongs and dangle this gutted mealworm in front of the hatchling. The hatchling may be wary about it at first. But once it licks it, it’ll get a taste of the guts, and that usually is enough to trigger the gecko’s feeding instinct. We’ve seen hatchlings ignore a bowl full of mealworms for days. But once they’ve tasted the guts of a gutted mealworm, once they’ve fed just once off the tongs, they’ll start eating on their own. It’s so important for hatchlings/juveniles to feed well on a regular basis because they need to get strong and grow. This gutting method is something we’ve discovered ourselves many years ago when we were trying to get some stubborn hatchlings to eat. We are happy to share this with the world. For some picky eaters, crickets do the trick. There’s something about the way crickets move that really triggers leopard gecko’s hunting instinct. We personally don’t like to deal with crickets due to the noise, smell, and their short lifespan. But they really do work for some geckos who won’t eat mealworms and superworms. One trick that will help your gecko catch crickets since they love to jump, is to pull the hind legs off the crickets. Once you do that, crickets will still move and run, but they can’t jump. 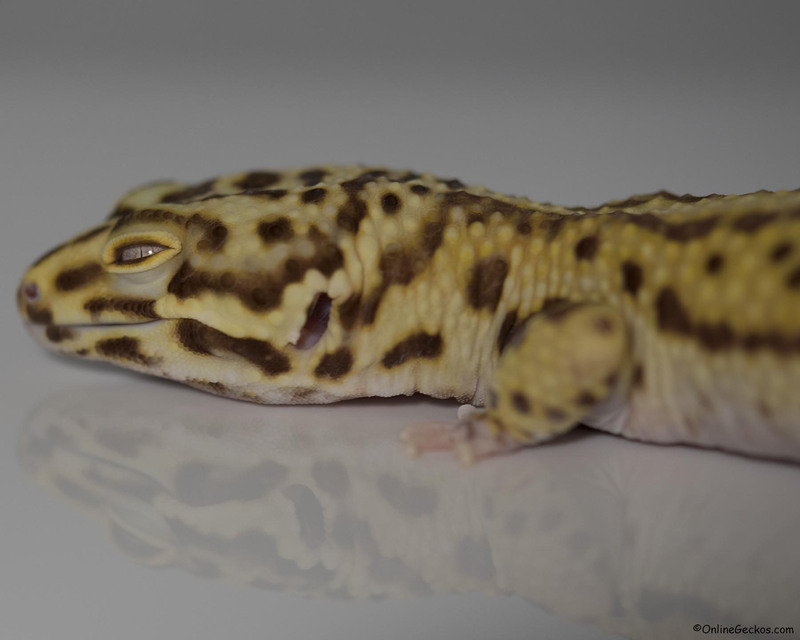 This can really help because some geckos are slow, have bad aim, or have issues with eye sight. Somehow their sudden jerky movements can really spark that hunting instinct in leopard geckos. They don’t work all the time, but they’re worth a try once you’ve tried the other tricks. When you’ve exhausted everything and your leopard gecko still won’t eat, then it may be time to try some waxworms. Waxworms are like candy to leopard geckos. 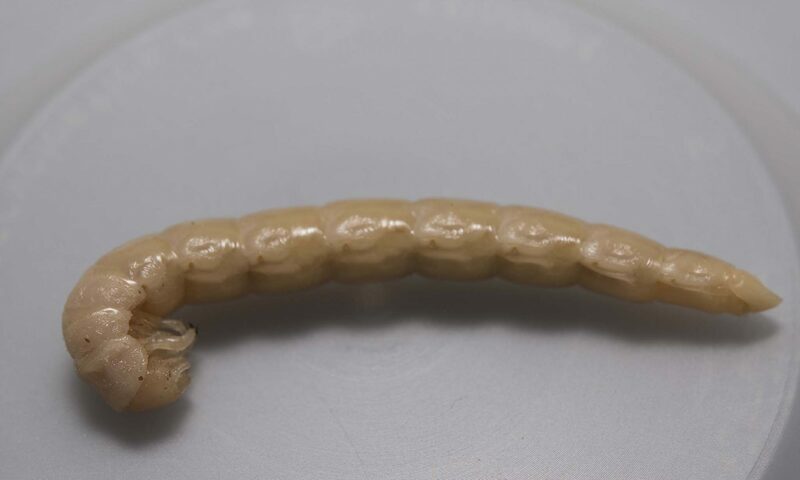 They are very high in fat content, therefore you should never feed waxworms as staple diet. You can not gutload waxworms, so they are not nutritious at all. You should only purchase a small amount to see if you can jump start your gecko’s feeding with waxworms. Something we’ve done that helps is to drop a waxworm in, let your gecko eat it. Drop another, let your gecko eat it. Then drop another feeder in there, something you would like to use for staple diet such as superworm, mealworm, dubia roach, or cricket. You can trick your gecko into eating something they previously may not want to eat doing it this way. Sometimes once they get a taste just once, they’ll go on and feed on the staple diet without a problem after. When it comes to feeding your leopard geckos, variety is key. We have an article on feeder nutrition and their nutritional values. We highly recommend everybody to read it at least once. We went through the pros and cons of each feeder insects. We also listed their nutritional facts so you can make good informed decisions on what to use as staple diet for your geckos. This is very important, no matter what feeder insects you choose, you must gut-load the feeders and dust them with a good multivitamin supplement. We highly recommend Repashy Calcium Plus and Zoo Med Reptivite with D3. Both of these supplement are all-in-one, they are for dusting your feeder insects at every feeding. Either one will work great for you. For further details on how to supplement properly and how to gut-load, please read our guide on how to supplement and dust feeder insects. We highly recommend Rainbowmealworms for your feeder insect needs. Their prices and selections are great, and they ship fast. Get your 10% off coupon on your next order at Rainbowmealworms here.